Plastiq is a third-party service provider that offers additional payment methods, including credit cards. You can link your credit card to your Plastiq account and get credit card rewards through Plastiq payment. Normally, Plastiq charges a fee of 2-2.5% for this service. Get rewarded in return for every person who registers with Plastiq via your referral link or code and they make payments totaling $500 or more (doesn’t have to be a one-time payment). 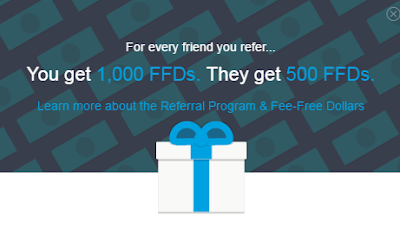 For each awesome referral, you will be able to send $1000 through Plastiq without any fees (Plastiq called this FFDs: Fee-Free Dollars). That means if your next payment is $1000 or less, there will be no service fee, and any leftover credit will rollover to your next payment. If the payment is more than $1000, a service fee will only be charged on the dollar amount over $1000. Let's assume an average Plastiq service fee of 2%, then it means you can save $20 by one successful referral. You friend will get 500 FFDs (value of $10). These FFDs don’t last forever, though – your balance will be reset to zero 90 days after the last time you used or earned them.